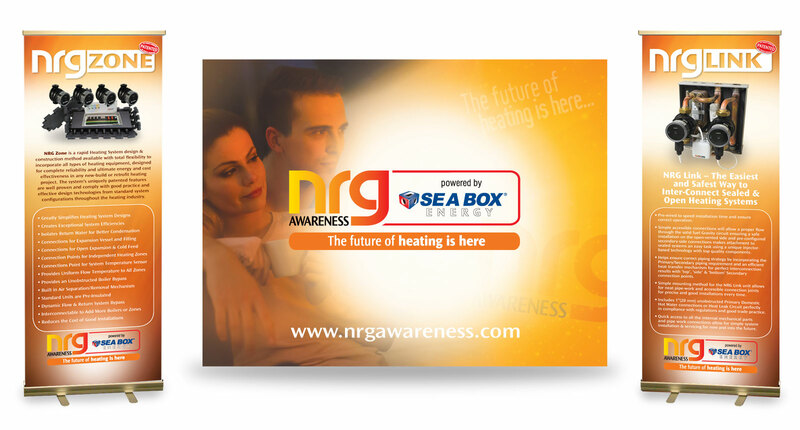 NRG Awareness powered by Sea Box Energy design state of the art zoned heating systems which can be interlinked and custom designed. 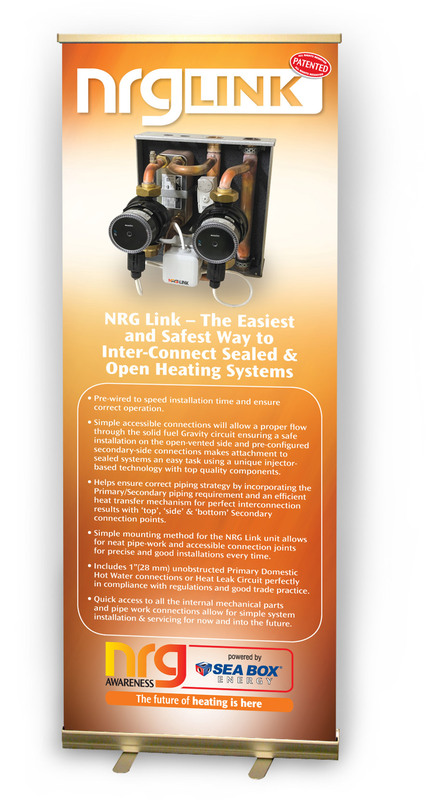 The company also has patented heating system products on the market today. Their expertise and heating design products are used extensively in domestic and commercial applications. The company has also joined forces with Sea Box which is a massive global brand operating in Europe, America and the Middle East. 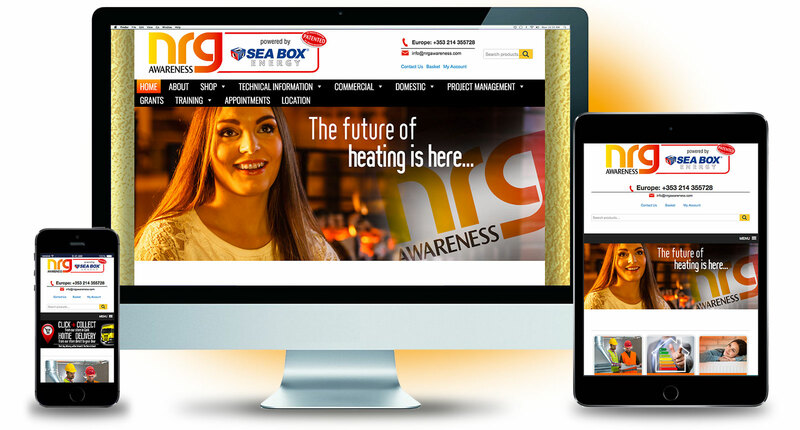 Sixmile Design was tasked with rebranding the company incorporating not only the NRG brand but introducing Sea Box Energy into the branding as well. The initial challenge was to fuse the two brands together into one corporate identity. This identity is the cornerstone of the branding, appearing in all digital and print based work giving consistency across all applications. The first major piece of work was designing and building the eCommerce website which was not only a portal of information on the company but also sells the NRG Awareness products as well as being a training resource as well. Appointments to set up meetings with the engineers can also be made through the website. Stationery, exhibition graphics and a powerpoint presentation were also put together utilising eyecatching graphics and skillful use of the corporate identity.